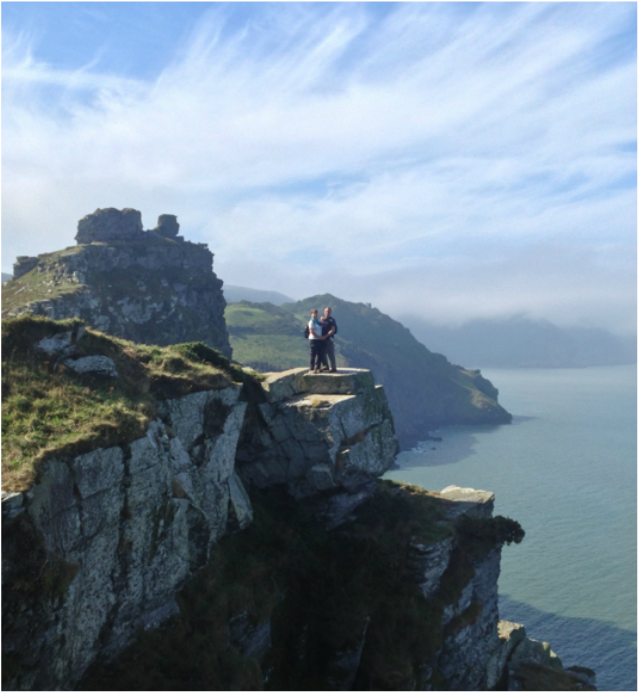 Hike #10: Lynton to Lee and back the long way. 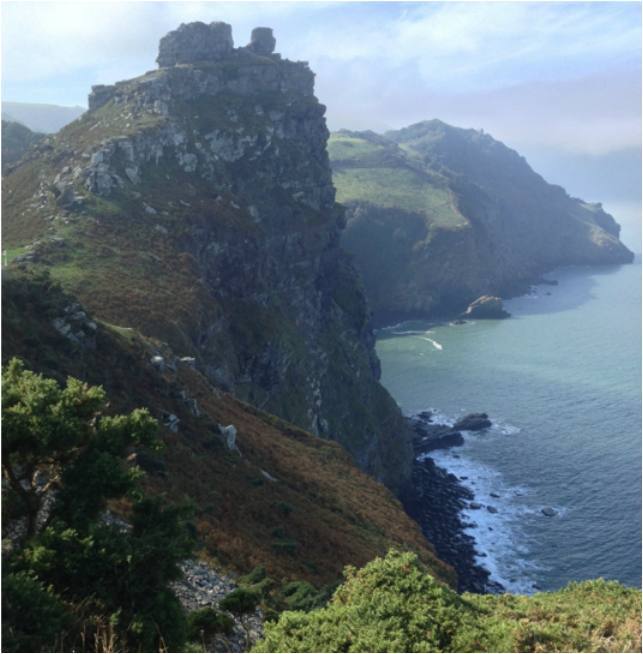 We take a bus, which is a 45-minute ride through spectacular countryside, to Lynton, a tiny village that sits right along the South West Coast Path. Our first stop is this little cafe that has wi-fi and cream teas. Now we are eating Devon clotted cream, as opposed to Cornish clotted cream. They're both delish. If you look at this map, you'll see Deeply Dippy, which, as you can tell, is hugely steep. 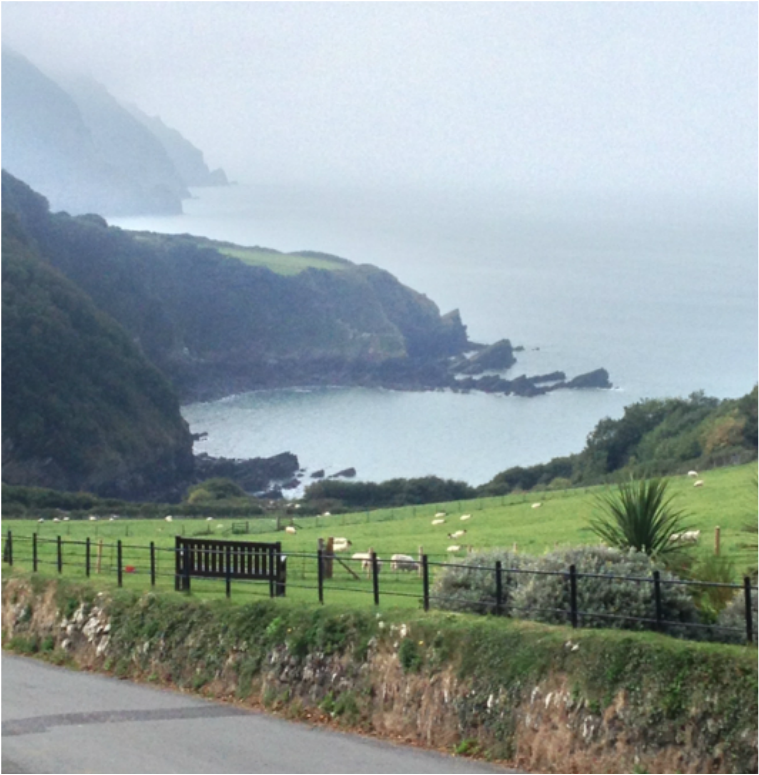 Deeply Dippy takes you from Lynton at the top—where we are drinking tea—way down to her sister village Lynmouth. 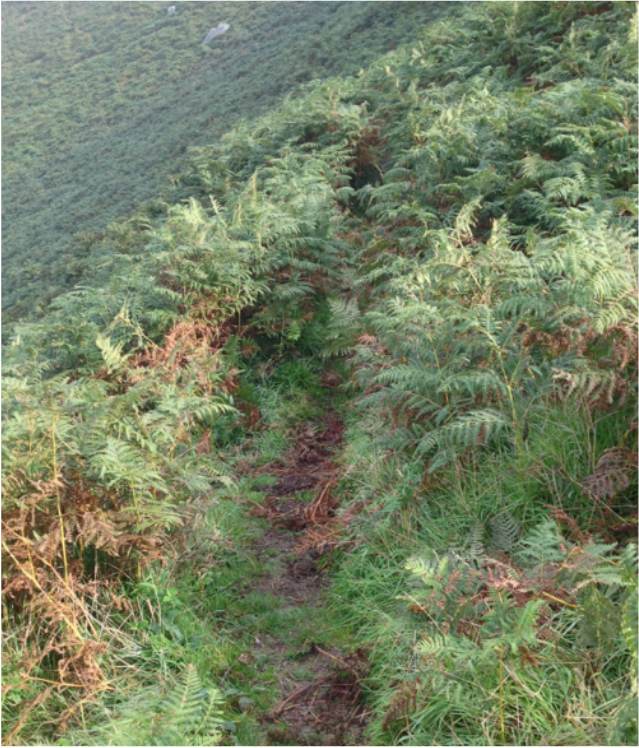 The path looks rather daunting. In the olden days, people went up and down by donkey. Then a man named Sir George Newnes decided to create a Swiss village in the heart of England because, you know, why not? Newnes had a cliff railway built, just like in the alps of Switzerland. Sort of. If you squint. The Cliff Railway is the dotted line on the map. You can read more here. The path starts out innocently easy-going. To our right and up ahead is an endless expanse of blue. This is to our left. If you have good eyes, you can see the wild goat up ​there. He's brown and shaggy. Look carefully at the top of this photo too. There's a climber. From this angle he looks brown and shaggy too. ​That's our next goal. See the tiptop of that next little pile of rocks? Before we get to the rock pile, we can't pass up this photo op. Maybe we look all relaxed and carefree up there, but we aren't. Not at all. We're afraid of falling. Very afraid. At the bottom of the next adventure. The view from the top. Not so very long ago we were way over there taking a picture of way over here. We eat our first lunch. (Like hobbits.) Bananas, cheese, almond tarts. We save the chocolate Digestives for first snack. 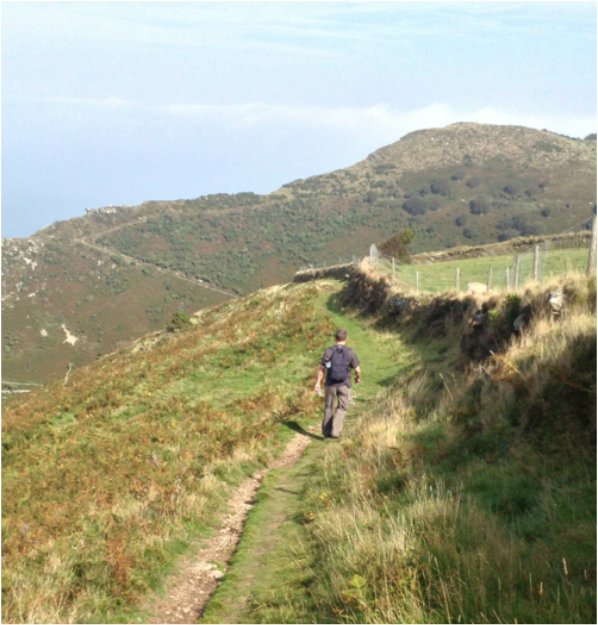 According to the Devon Walks booklet, there is a shortcut for people who have a hurt ankle and want to go back. (See my arrow above.) "This will take an hour off your walk" the writer promises. "You can trust me" is implied. 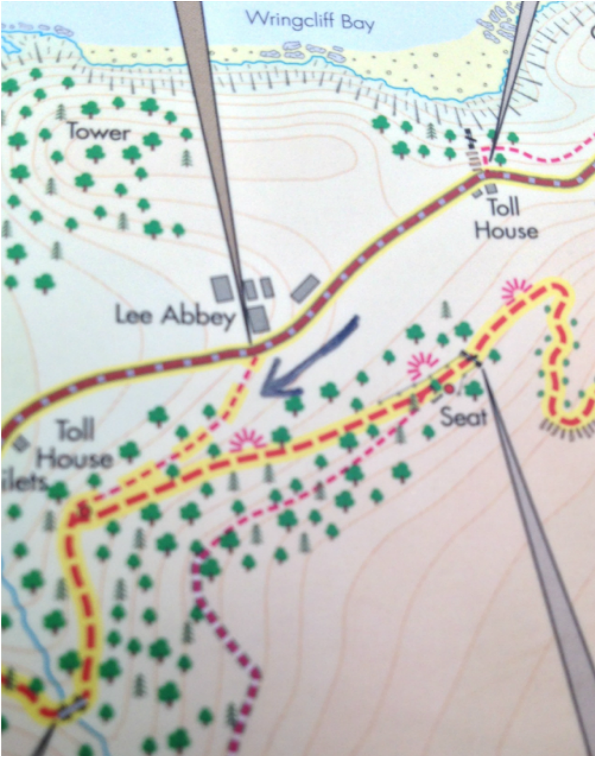 We walk down to Lee Abbey, just as the map tells us to do, then take the path that leads off the coastal trail and toward the shortcut. It's beautiful and peaceful and we assume all is right with the world. 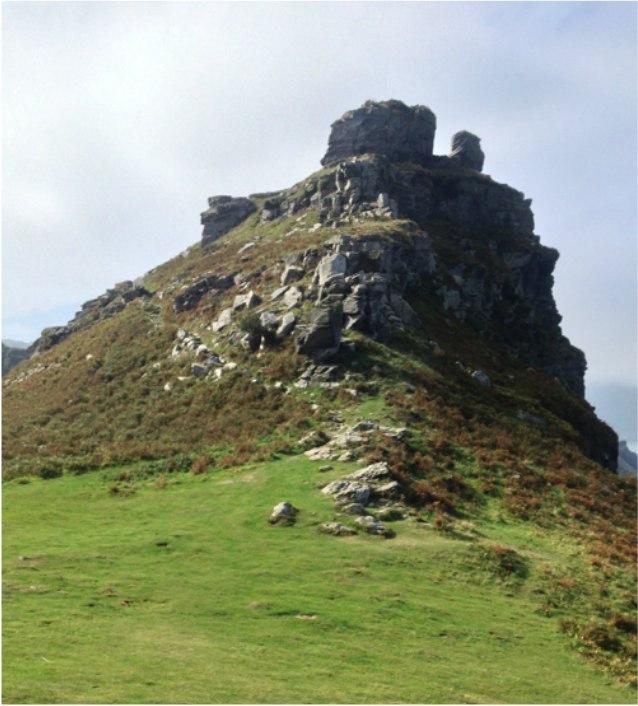 We say a fond farewell to the Abbey and proceed carefree along the shortcut path, thinking of the tea and lunch and scones waiting at the restaurant back in Lynton. Suddenly, the shortcut makes a sharp turn way sooner than we expected. Shouldn't we be headed to the other side of the hill? Doesn't the trail go around the cliff so we see the sights on the other side? But no. The trail starts leading back the way we just came, but in a seriously upward manner. 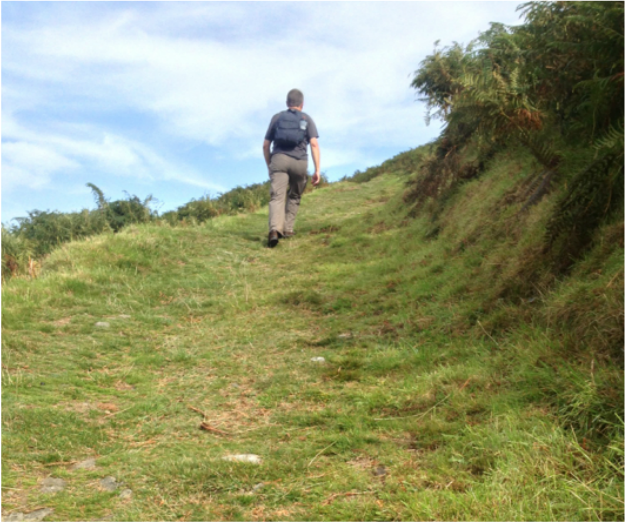 Instead of going to the other side of this hill, the path leads us on the same side we just walked. See? There's the rock pile we climbed an hour ago! ​And the path we came from an hour ago! And then the trail dwindles to nothing. We keep going for a bit, until we are forced to conclude that we'd gone wrong somewhere. We turn around. Bloody hell. We find the real trail, which just goes up and up forever and ever. And every time you think you're reaching the top, the trail laughs at you. Until eventually, we are at the top, and back exactly where we were 2.5 hours ago. Only higher. And more out of breath. And more cranky. 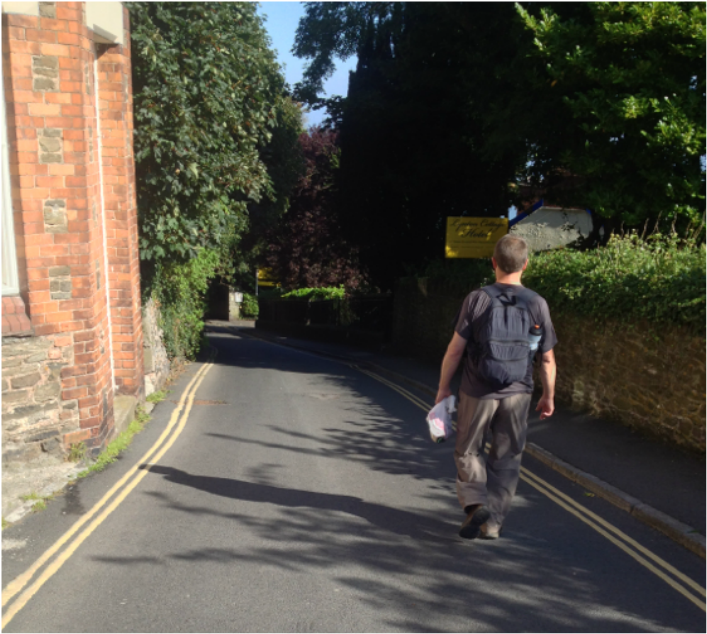 ​Surely we don't have to walk the path way over there! Whew. The end is in sight. Unfortunately, we end up nowhere. 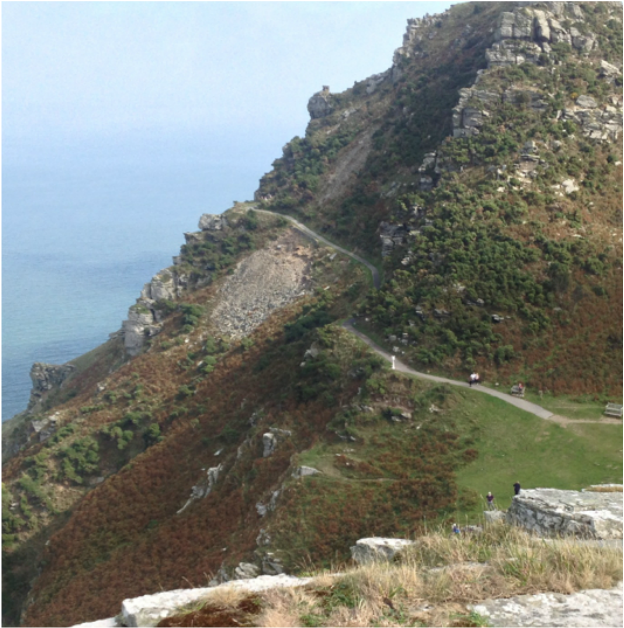 Eventually, nowhere leads to a soccer field, which leads to a street, which leads to Lynton, where we go back to the same restaurant we had tea and scones at just 4.5 hours ago.